Why refer your clients to INS LifeGuard for a Personal Response System? All calls are answered by qualified and experienced nurses – that’s exclusive to INS LifeGuard! A Personal Emergency Response System (PERS) from INS LifeGuard involves three components: a console unit, a small radio transmitter, and monitoring provided by our emergency response centre, which is staffed exclusively by experienced Nurses. When emergency help is needed, the PERS user simply presses the transmitter’s “Help” button, sending a radio signal to the console. The console unit is activated immediately and automatically sends an alarm through to our emergency response centre. Within seconds one of our experienced nurses receives the signal and can instantly identify the person and review their medical history. They’ll determine the nature of the emergency and take appropriate action right away. We also offer mobile alarm systems – the LifeGuard Mobile, SmartTracker and SmartWatch let you take your alarm service with you wherever you go. See below to download a flyer for more information. Is there really a difference between one provider and another? The fact is, there’s a big difference between INS LifeGuard and other providers. INS is a health care provider. 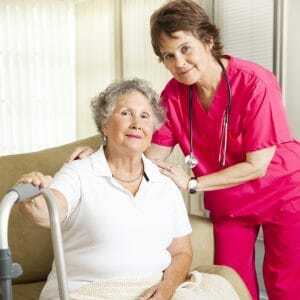 We’ve been providing community nursing services since 1984. That’s why our response centre is staffed by highly qualified and experienced nurses, 24 hours a day, seven days a week. We know of no other company who can make that claim. Our experience and knowledge in the field have enabled us to structure our systems around your clients’ needs. Contact Us to learn more about the services INS can offer your clients. If you have a client that you feel is in need of a Personal Emergency Response System, who should you refer them to? Is there really a difference between one company and another or are they all the same? Our services are prevention-based; they are far more comprehensive and are fully flexible and tailored to the individual’s needs. We provide welfare checks, e.g. for those returning home from hospital or who may be ill. We call to make sure the client is comfortable and everything is alright. You can at any time ask us to check on your clients and we will even report back if required. We don’t forget about the person after the alarm, but rather we track their progress, for instance until they arrive home from hospital. We follow up with you if your client goes into hospital so you know whether to cancel their next service. And we’re even developing a web portal where you will be able to track the progress of your clients directly. We offer a Health Information Line where clients can call our nurses at any time for information or support, as well as a Chat Line for the lonely, socially isolated, those suffering from grief or anxiety, or who may just need someone to talk to. Health Information, Chat Lines and the other services mentioned above are included, free services. All communication between the client and INS LifeGuard is via a free call 1800 number. We exceed Australian Standards for medical monitoring … indeed we work under the higher standards required and expected of us as registered health care providers. We’re a contracted provider for the Department of Veterans’ Affairs. INS LifeGuard’s equipment sets a benchmark in features tailored to Aged Care, Emergency and Health Care monitoring, but we’re also able to monitor a variety of other provider’s equipment. We encourage you to learn more about INS LifeGuard before making any decisions about Personal Alarm Systems. Please feel free to call us anytime on 1800 636 226 if you would like further information, or wish to discuss any aspect of our services in more detail.